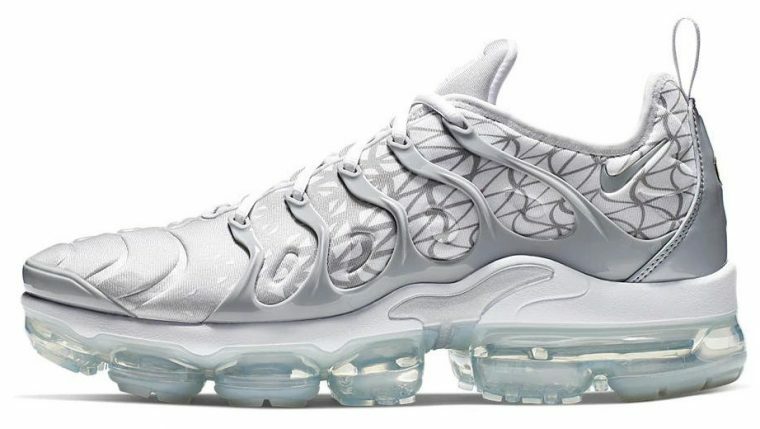 Today’s design popular aesthetic might be all about the 90s, but the Nike Air VaporMax Plus Geometric Gradient is thrusting us back to the time of shoulder pads, big hair, and of course – synth pop. 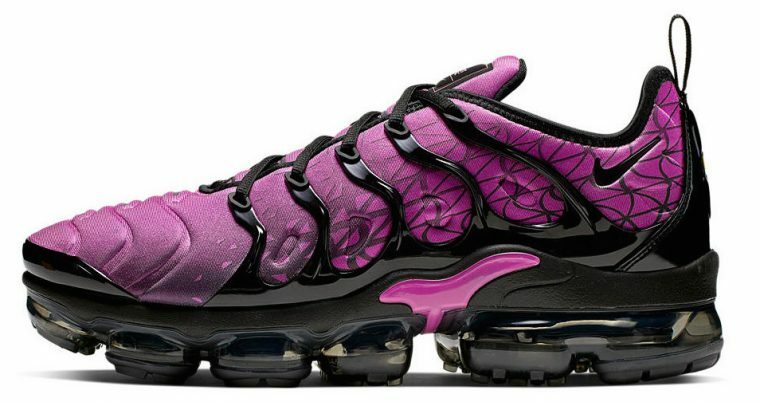 Combining two of Nike’s most popular silhouettes – the Air Max Plus and the Air VaporMax – the contrasting Purple/Black colourway of the hybrid shoe is taking us back 30 years! We love how the abstract black lines fade into the purple as you move down towards the toe. The sock-style runner is made from a super comfy, supportive neoprene upper, while the TPU foot cage is drawn together by black laces. Underfoot, lies the innovative exposed air cushioning unit, which will ad more than a spring to your step. Running the full length of the shoe, the Air Max technology will ensure you’re comfy wearing these all day. Coming as part of a pack, this silhouette will also be released in a White/Grey option if you’re looking for a more demure look but still want to bring the retro vibes. When styling these, you gotta go bold. Take inspiration from the two-tone design and incorporate shades of purple for a thought-out, put together look. 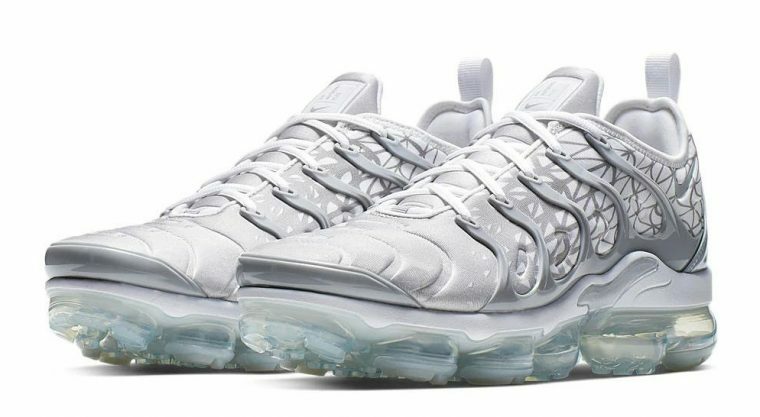 The Nike Air VaporMax Plus Geometric Gradient in Purple/Black and White/Grey don’t have a firm release date yet, so stay TN’d to The Sole Womens for more info and all the latest sneaker news!